Crucially, Australia is part of the so-called "Five Eyes" global intelligence partners which includes the US, UK, Australia, Canada and New Zealand, and plays in a key role in hosting top-secret facilities that guide American spy satellites. But another senior source, in security, emphasizes there is a difference between providing intelligence and "active targeting"
One particular facility, the Pine Gap joint defense facility in the Northern Territory, would play a significant targeting role in joint US-led strikes on Iran, according to the report, it's "considered crucial among the so-called 'Five Eyes' intelligence partners... for its role in directing American spy satellites." However, though officials speaking to ABC on condition of anonymity say intelligence plans for targeting suspected Iran nuke sites have begun, Australia's foreign ministry is still seeking to avoid war through intense diplomatic efforts. "Australia is urging Iran to be a force for peace and stability in the region," Foreign Minister Julie Bishop told ABC's AM program on Thursday. 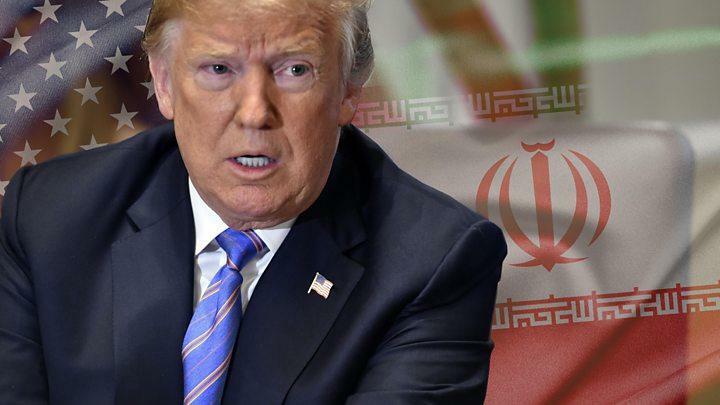 The report comes after President Trump's all caps twitter tirade on Sunday which warned Iran to "NEVER, EVER THREATEN THE UNITED STATES AGAIN OR YOU WILL SUFFER CONSEQUENCES THE LIKES OF WHICH FEW THROUGHOUT HISTORY HAVE EVER SUFFERED BEFORE..."